Relentless storms hitting an already saturated Bay Area this week continue to cause traffic nightmares throughout the region. In Santa Clara County, all northbound lanes on Highway 101 between Cochrane and Bailey roads were closed late Tuesday. Crews, working late to build a dam-like structure on the side of the freeway to stop flooding, were hopeful lanes would reopen early Wednesday. All southbound lanes of the freeway are open. 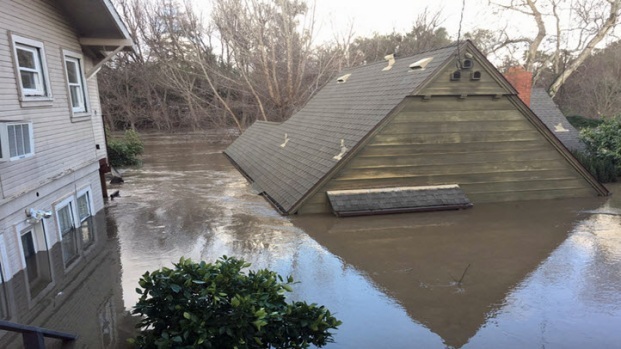 Flooding started around 11 a.m. Tuesday after an overflowing Anderson Reservoir in Morgan Hill surged into the old Coyote Canal and caused a breach. The breach at the San Jose-Morgan Hill line created a lake on the northbound lanes. California Highway Patrol officers initially allowed vehicles through on the shoulder. But traffic soon stopped after a car stalled. "It's very, very strange," said Sonia Gizycki, one of the drivers who were stranded on the freeway Tuesday. Gizycki, who has lived in Morgan Hill for the past 20 years, added "I have never experienced anything of this kind ever before." Meanwhile, Santa Clara Valley Water District crews are creating "deliberate" breaches to divert water into Coyote Creek. "This weather pattern we've had now is a first," CHP Sgt. Tom Leden said. There has also been multiple road closures throughout the county, Leden said. 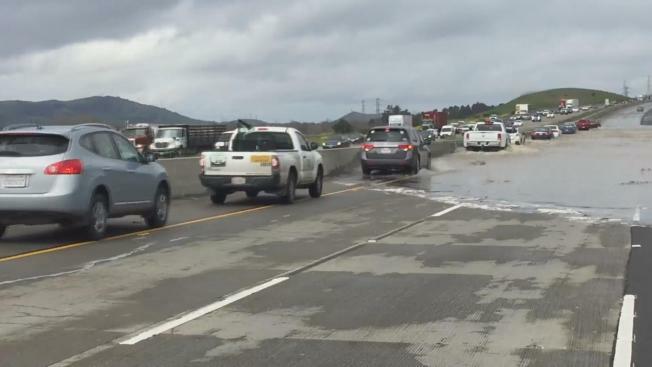 By Tuesday afternoon, CHP allowed big rigs pass through the flooded northbound lanes. Other vehicle drivers, who waited for hours, were turned around. "It's been horrific," Morgan Hill-resident Joanne Gigner said. "I kinda wish they knew ahead of time." Traffic is being diverted onto the Cochrane Road exit and onto surface streets. Drivers should expect significant delays and should use alternate routes until northbound lanes reopen.